30 years after the #Chernobyl #nuclear #disaster, the #largest #French #electric #utility #company #Engie intends to build a #huge #solar #park in the #radioactive #exclusion #zone. As nuclear #energy is the main #energy #source in #France, the French are an experienced partner for energy #projects in the #uninhabited area around the Chernobyl nuclear reactor. 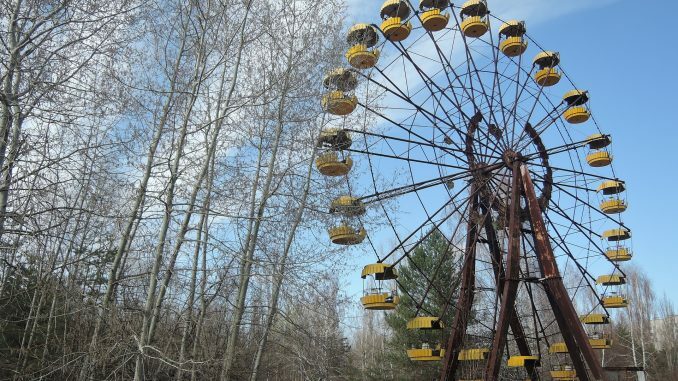 Ukraine reaffirms its will to expand renewable energy in the Chernobyl exclusion zone. The Ukrainian government is holding talks with one of the largest French energy companies Engie SA about the construction of a huge solar park in the contaminated area around the Chernobyl reactor. Engie is among 60 companies that have expressed their interest. The cost of the project is estimated to be USD 1.25 billion. The experience of France in the field of nuclear power is one of the reasons why the Ukrainian government considers working with Engie. The company approached the government after Ukraine had announced its plans to develop a renewables project in Chernobyl. A spokesman at Engie confirmed that the company held talks with the Ukrainian government. The aim of the project is to convert the once-damaged area surrounding the Chernobyl nuclear reactor, which is still radioactive, into a large solar park. The contamination level in the abandoned exclusion zone, which remains unused for more than 30 years, is still too high to be used for agriculture and forestry. The solar energy facilities, on the other hand, can be operated and maintained even if they are radioactive. The transmission lines of the former nuclear power plant with a power output of 4 gigawatts, which were meant to deliver the generated electricity to households and businesses, are still in place. The majority of other companies who submitted their offers intend to implement projects with a capacity of 50 up to 200 megawatts. Engie is the only company that has proposed to build the solar facility with a solar power storage. Furthermore, in 2016, two Chinese companies GCL System Integration Technology Co Ltd. and China National Complete Engineering Corp also announced their plans for the construction of a 1 gigawatt solar plant in the exclusion zone. Works have not yet begun though, but China is still interested.